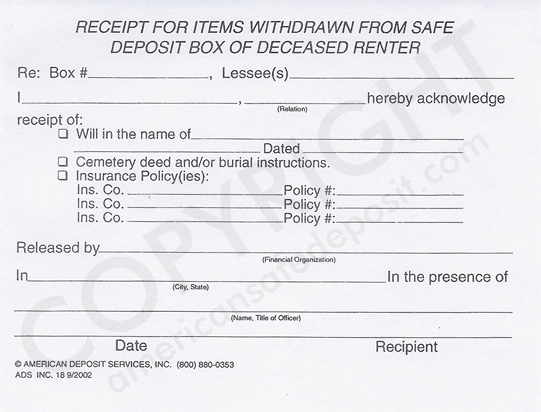 You must have a verified account before you can order this product. 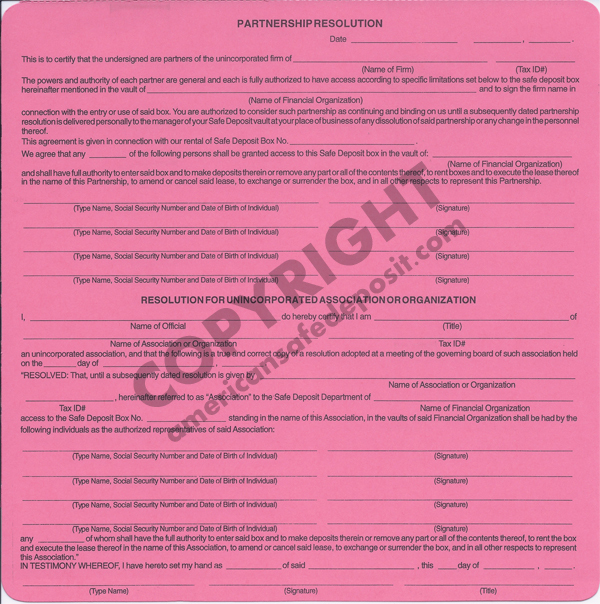 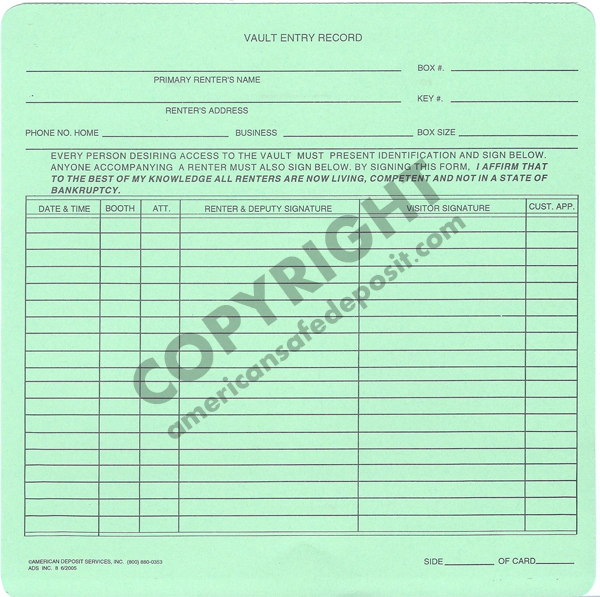 Please create an account or login, then order this item from within the "Back Office". 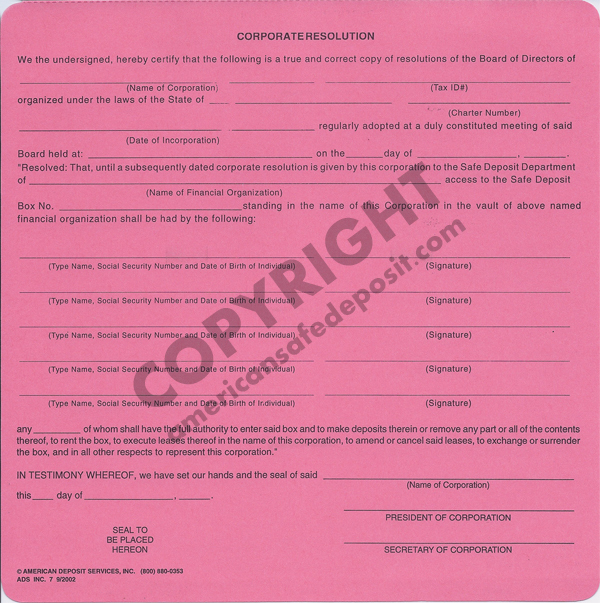 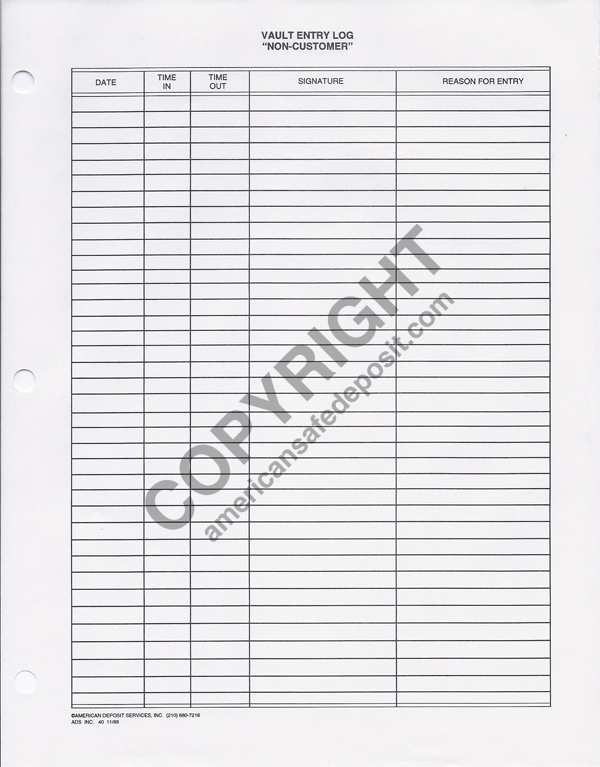 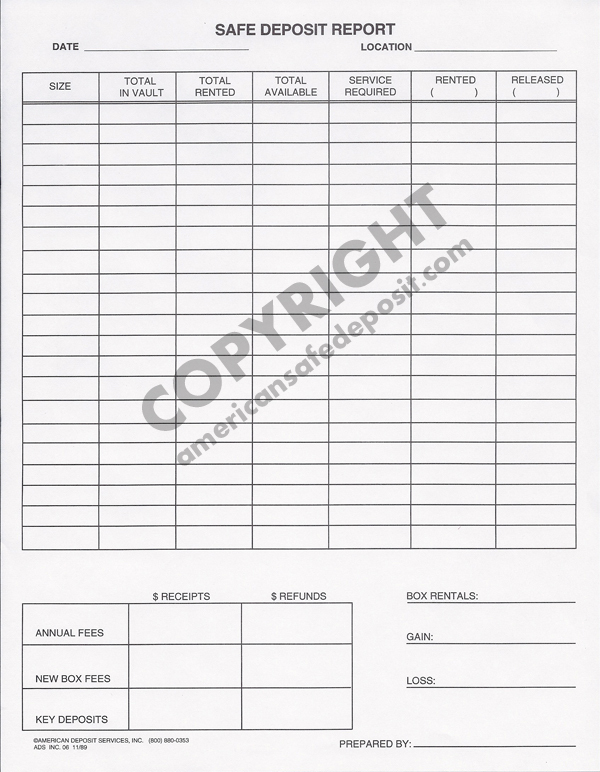 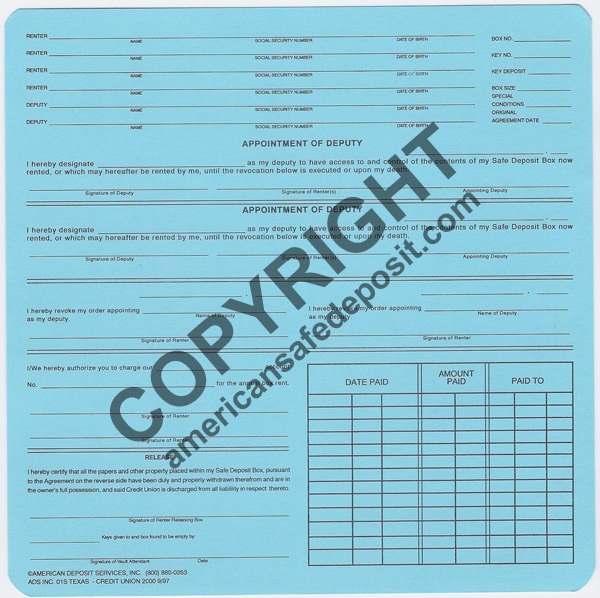 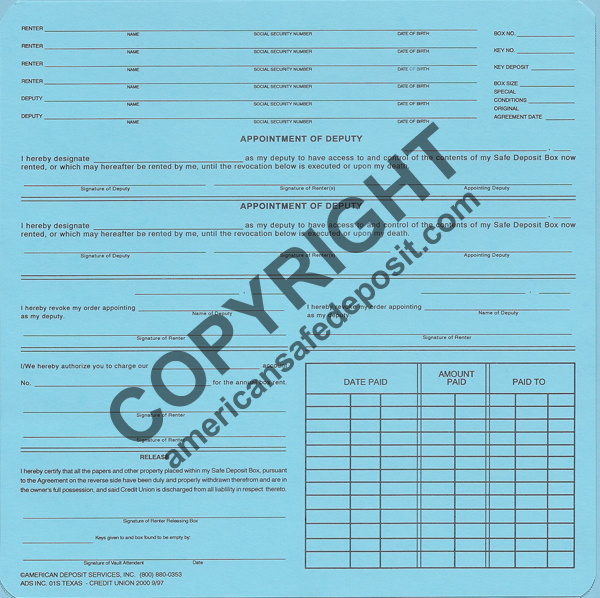 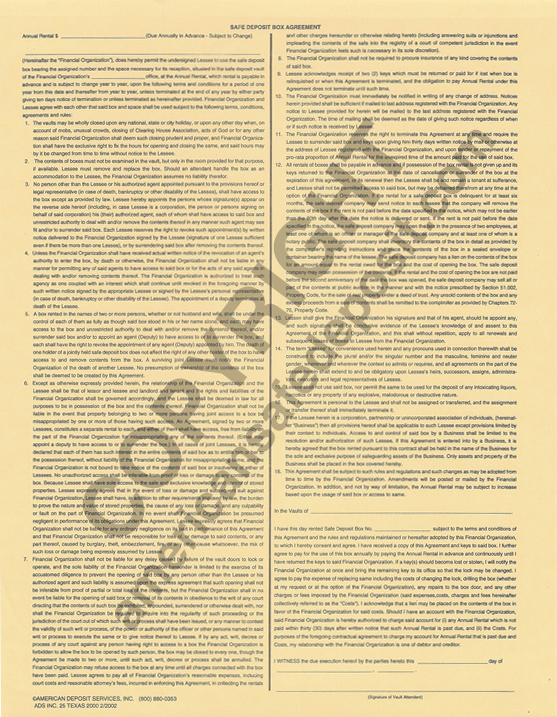 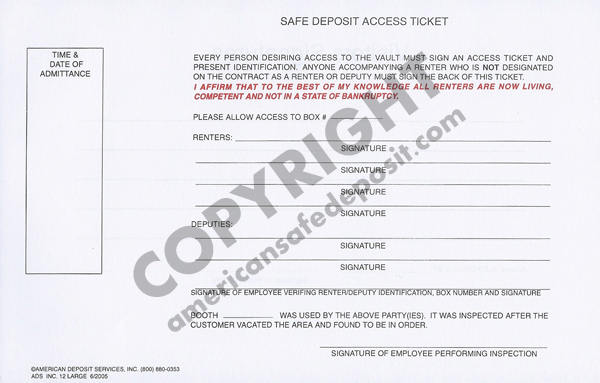 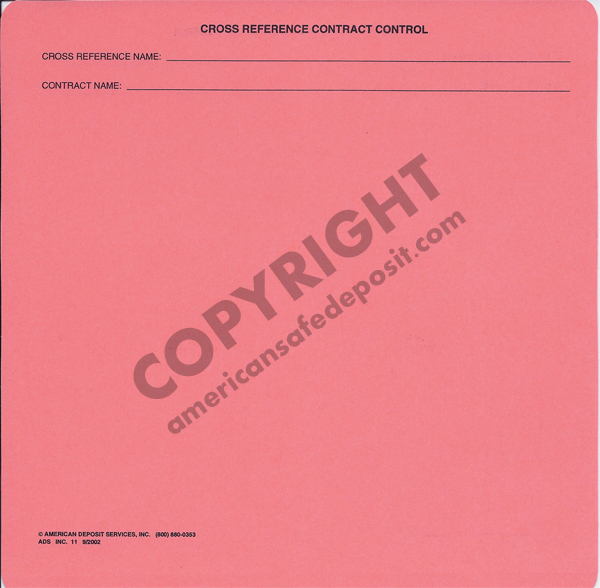 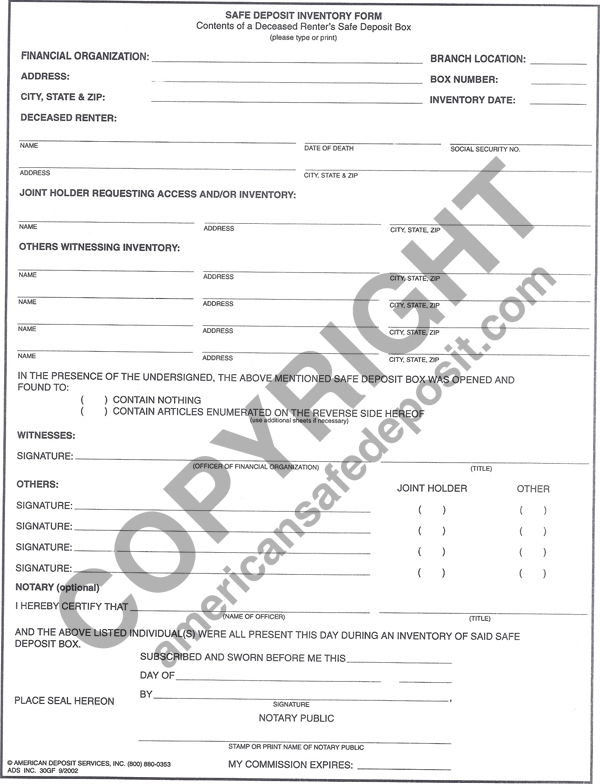 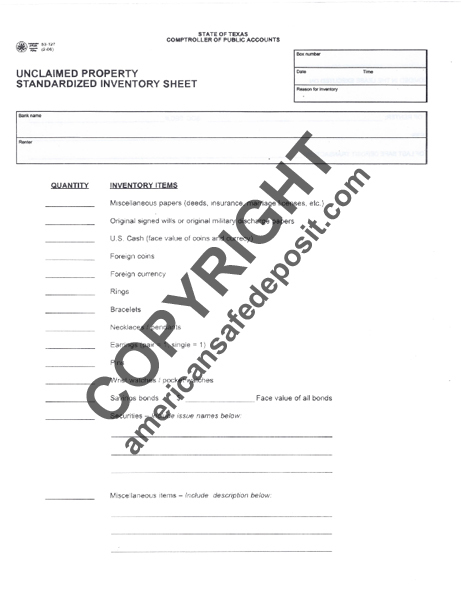 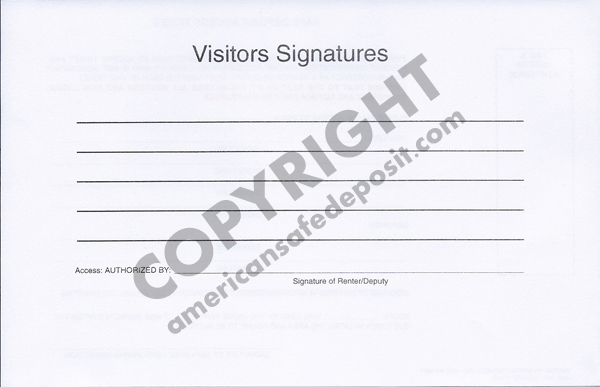 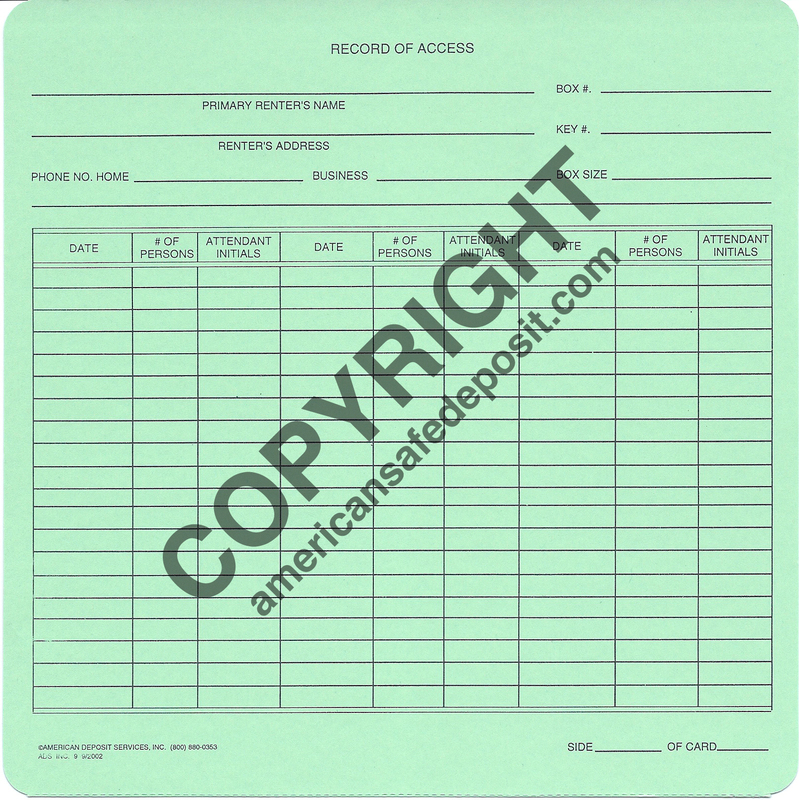 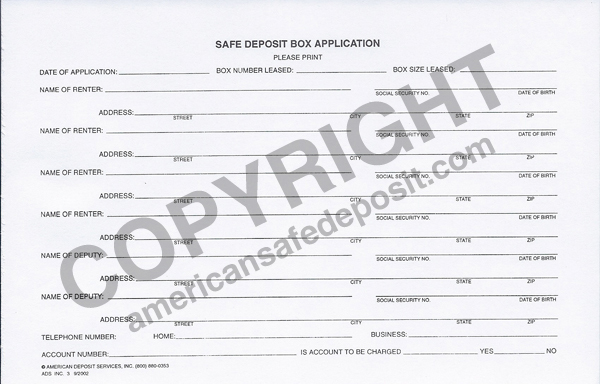 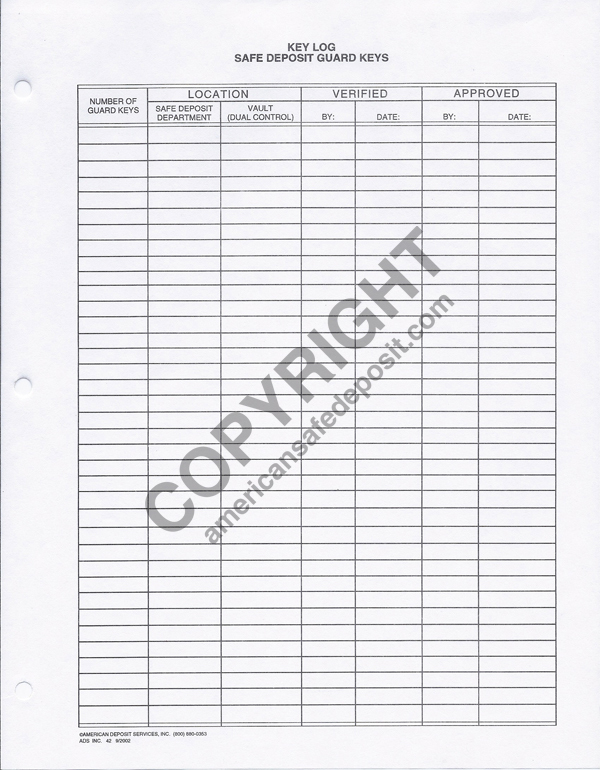 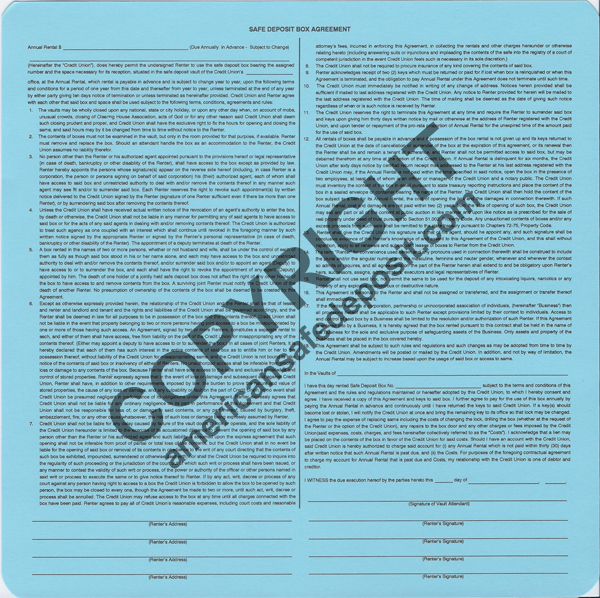 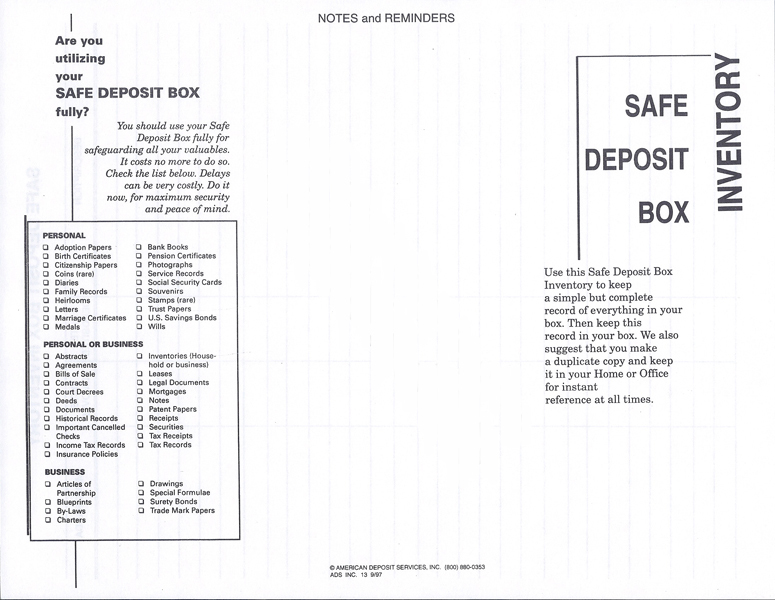 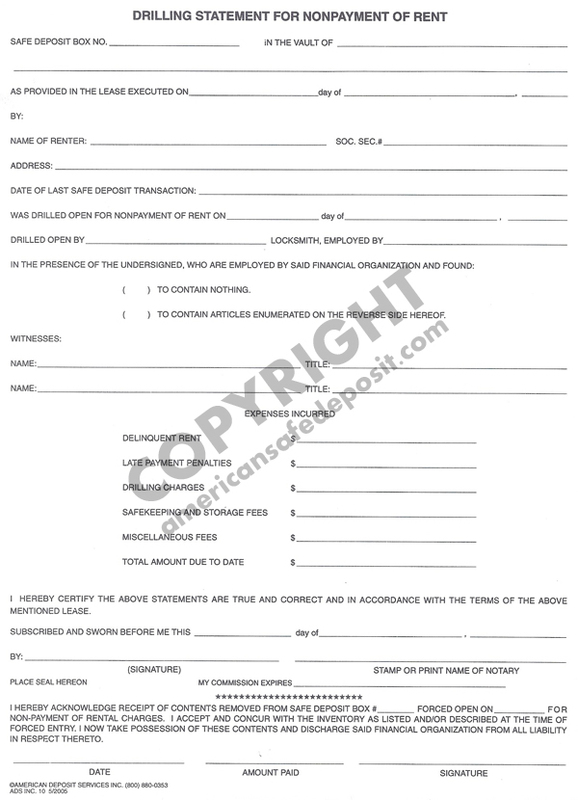 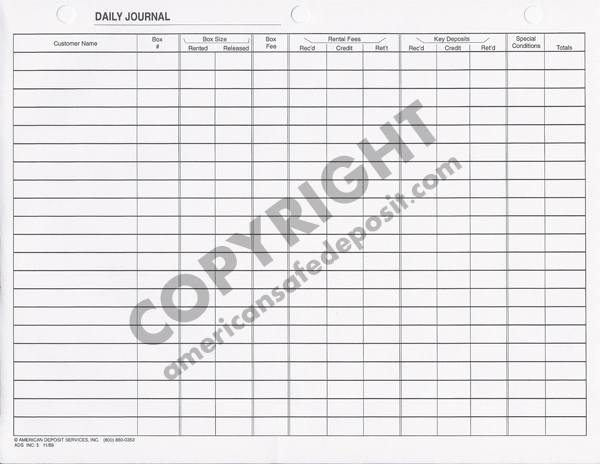 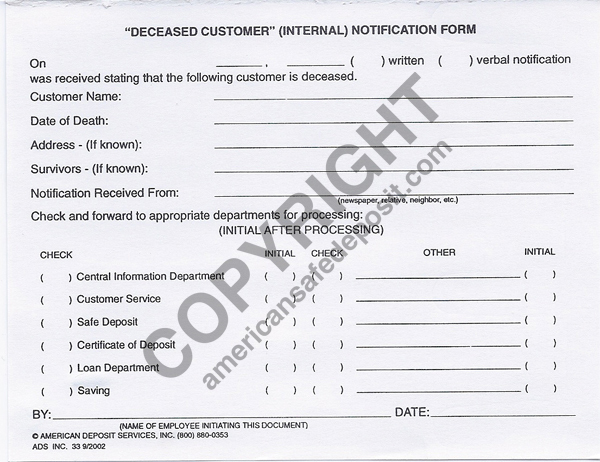 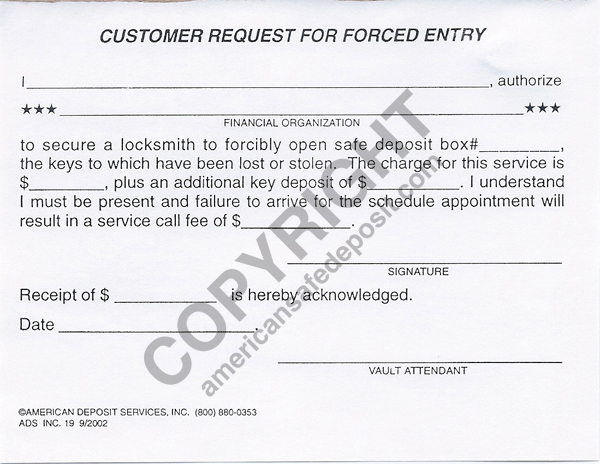 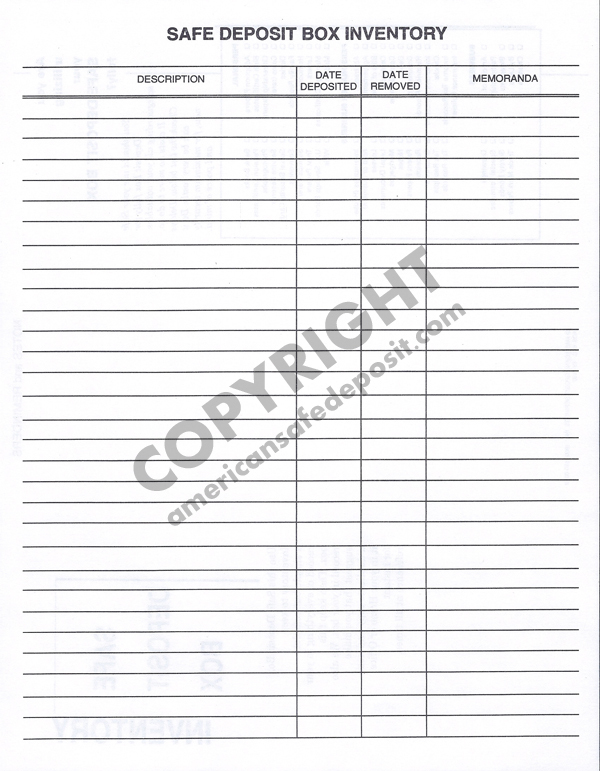 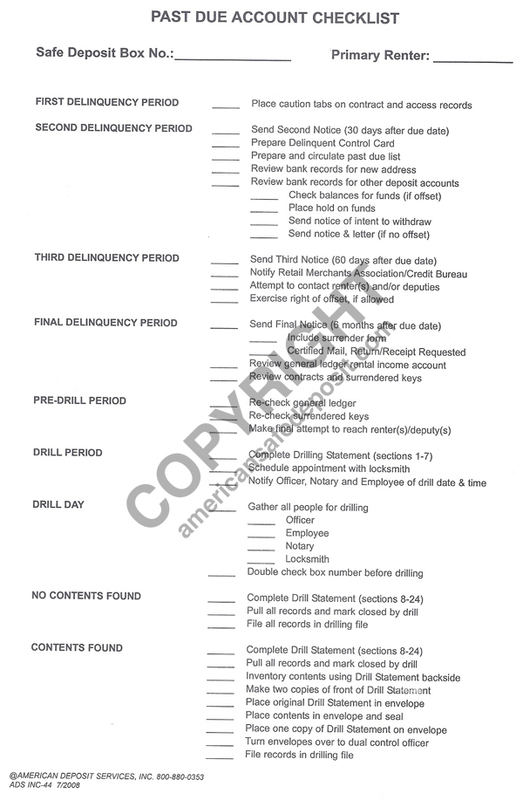 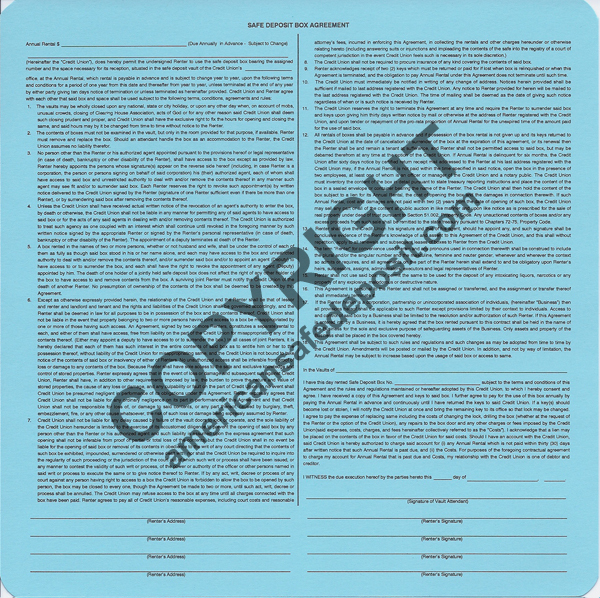 Product Description: Vault Entry Log "Non-Customer"
Product Description: Safe Deposit "Vault Security Log"